They may fear each other, but there is no need to fear the wonderful Funko Pop Reservoir Dogs figures. The initial release features several of the criminals from the cult classic film. Reservoir Dogs kicked off Quentin Tarantino’s directing career in 1992. Despite not being a huge box office hit, it is often regarded as a ground-breaking independent film. With numerous iconic scenes, particularly the assignment of color-themed aliases and a dance number by Mr. Blonde, portrayed by Michael Madsen, it is fitting for their vinyl figures to reflect the nature of the film, while still maintaining the charming look collectors love. Shop for Reservoir Dogs DVD/Blu-Ray options on Amazon. The always cool, yet scary, Harvey Keitel portrays Mr. White and fans can find him wearing the iconic black Ray-Bans while holding a pistol in each hand, pointing them directly at you. Arguably one of the most memorable cinematic scenes of all-time is thoroughly captured with the Mr. Blonde vinyl. 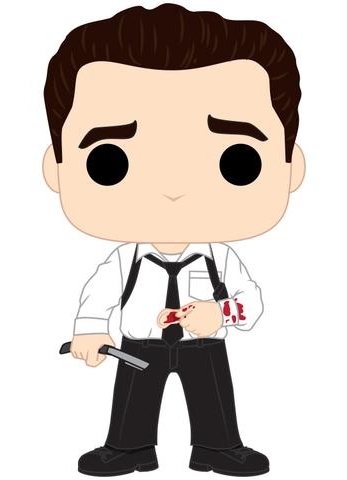 Shown wearing a white dress shirt with a black tie and suspenders, Mr. Blonde has a straight razor in his right hand while holding a bloodied ear in the left. Of course, this has left a little blood on Mr. Blonde’s thumb and shirt sleeve. Lastly, Mr. 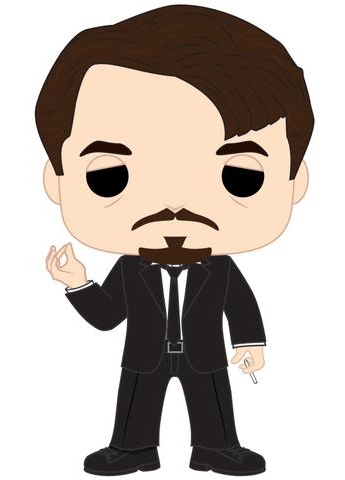 Pink (Steve Buscemi), complete with goatee, is standing with his eyes barely open, dressed in a black suit and tie while holding a cigarette. 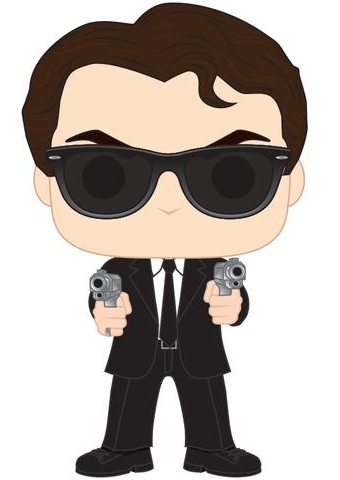 Officially announced at the 2017 London Toy Fair, Funko Pop Reservoir Dogs vinyl figures are numbered into the Pop! Movies line and stand approximately 3 3/4” tall. We will update with the box numbering, final images and a firm release date as details are released. Please note images are concept artwork and not final.